The 19 Conference Has Concluded! We thank everyone who was involved and hope to see you again next year! Below is information for the next conference. 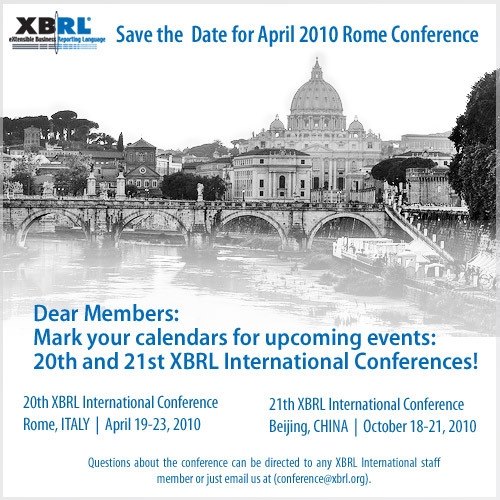 © 2011 XBRL International, Inc. All rights reserved.